Just playing with my dolphin. Input text: It is morning. The ground is shiny water. The tiny light gray dolphin is in front of the very giant white hand. The hand is -2 inch above the ground. The dolphin is facing right. The dolphin is 18 inch above the ground. The dolphin is -14 inch away from the hand. The dolphin is leaning 20 degrees to the left. The dolphin is -15 inch to the right. The enormous white head is -1 feet behind the hand. The head is -7 feet above the ground. 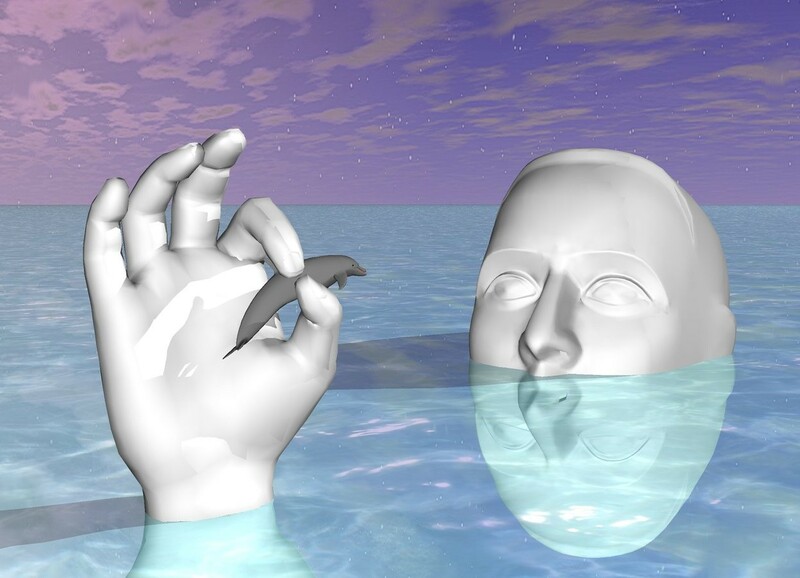 The head is facing the dolphin. The head leans backwards. The head is 3 feet to the right.